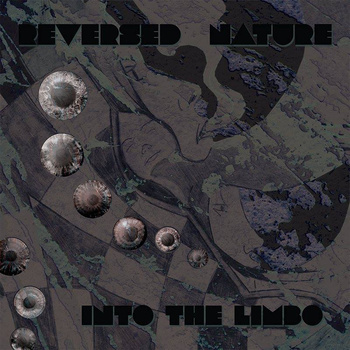 Athens, Greece based Reversed Nature released their latest album ‘Into The Limbo’ late 2014, which is a follow up to their previous releases ‘Nature Reversed’ and ‘Junkie for a Guide’. Describing themselves as psychedelic Kraut rock, the tracks are atmospheric with haunting vocals over a myriad of styles. Dimitra (Vocals), Michael (Guitar), Tony (Bass) and Lefteris (Drums) bring a dark sound to the album with vocals that melodically rise over a heavy drum beat. Delicate guitars also bring with it a lush sound. Although only four songs, three of the tracks are extended in length. ‘Into The Limbo’ and ‘Out Of The Limbo’ have a progressive influence to the music along with a psychedelic undercurrent throughout. With a slow tempo to both songs, the tracks have a dark sound to them but also have vibrancy in the music in a contrasting way. ‘Mother Mary and the chicken snakes’ picks up the pace slightly to crashing guitars and a pulsating drum beat, whilst the vocals have almost ethereal quality to them. Rounding off the album with a shorter song ‘Understudio Jamming Session’, this brings together all the genres of the band, that rise into a crescendo of sound as the band experiment and expand on their style of psychedelic rock, which also has offerings of industrial and space rock sounds over powerful vocals. Reversed Nature are also planning some more live shows in Greece in the near future to promote the album.